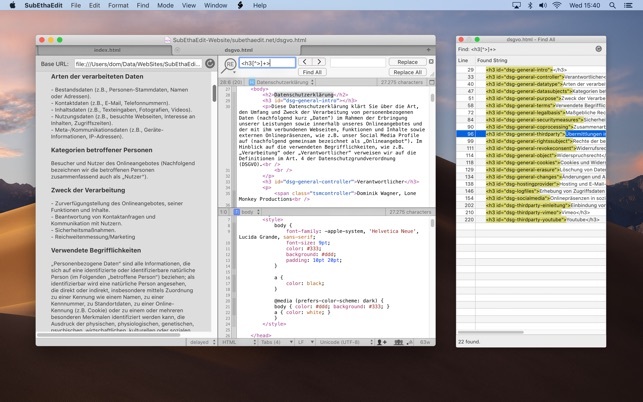 The powerful plain text and source editor. Now free and open source. The app that started the collaborative editing revolution is back. Write articles, code, notes or meeting minutes with friends – wherever they are. Ideal for extreme programming sessions. 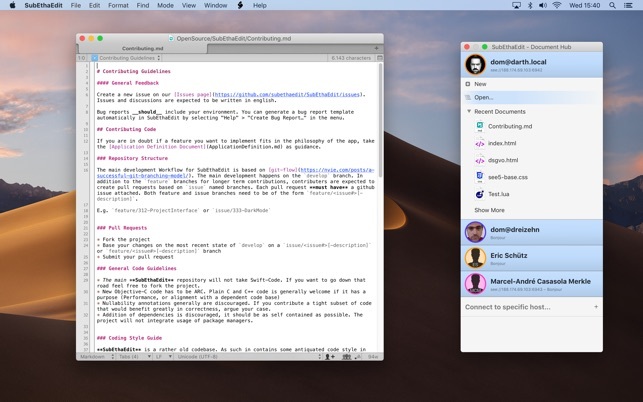 SubEthaEdit kickstarted collaborative editing with its easy and immediate way to connect and edit. Just add your co-workers to the document and start typing. No complicated setup, browser or Internet required. 2003 Apple Design Award Winner. The best text editor ever! Ever since I've had a mac, I've used this app. 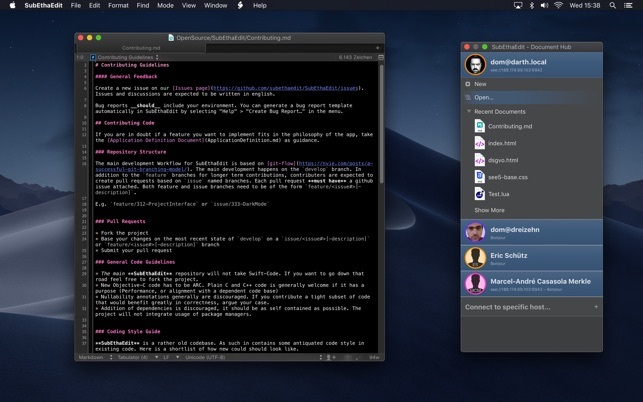 Hands down, best text editor. Also, support is outstanding. Crashes within moments of trying to open. I'll change my review If there is an update that fixes the problems I'm having with it. I'll also consider changing the review if I can just figure out what is making it crash. 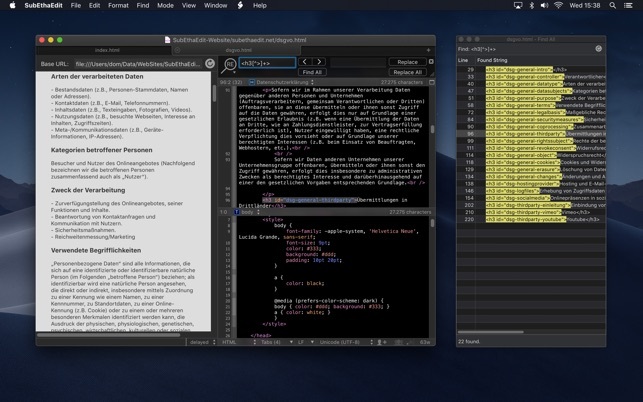 If you are looking for a text editor with very few bells and whistles, this is it. I live in a world where I regulary use three text editors and this is one of them. I have used SubEthaEdit since the time it was “free” and have paid for it a couple of times now. I do not use it for collboration, I use its Block Edit functionality. I can honestly say that the time this one feature has saved me over the years is well worth the money I spent. My one complaint about this product is the lack of documentation. I am sure that there are gems hidden under the covers, but frankly the documentation is non-existent.